From the #1 Amazon.com bestselling creator of SUNSTONE, Stjepan Sejic returns with SWITCH, the paranormal teen series that garnered millions of views on Deviant Art before hitting print. SWITCH, VOL. 1 will collect issues #1-7. 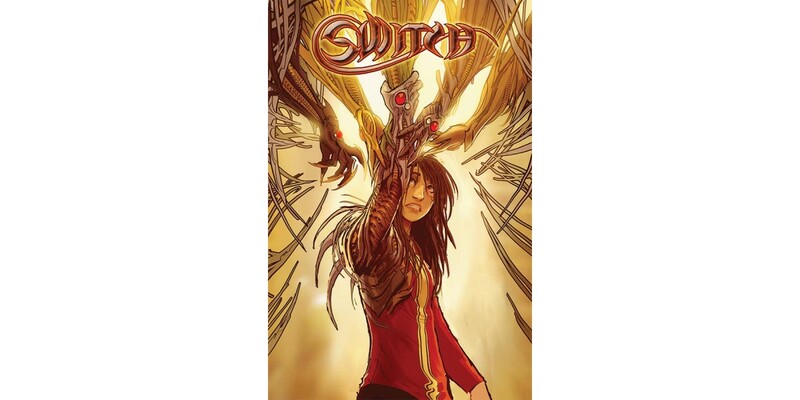 A witty reimagining of the classic WITCHBLADE, but skewed for a teen audience, SWITCH is the heartfelt, deadpan-humored story of a girl who must navigate the usual high school dramas with the added burden of possessing an ancient power. Readers won’t need to be a WITCHBLADE fan to appreciate it, but those who are will enjoy some clever nods to the series and cameos of other characters from the universe. SWITCH, VOL. 1 trade paperback (Diamond Code: AUG160704, ISBN: 978-1-63215-712-6) will hit comic book stores on Wednesday, December 21st and bookstores on Tuesday, December 27th. The final order cutoff for comics retailers is Monday, November 7th. It is also available for pre-order on Amazon, Barnes & Noble, and Indiebound.